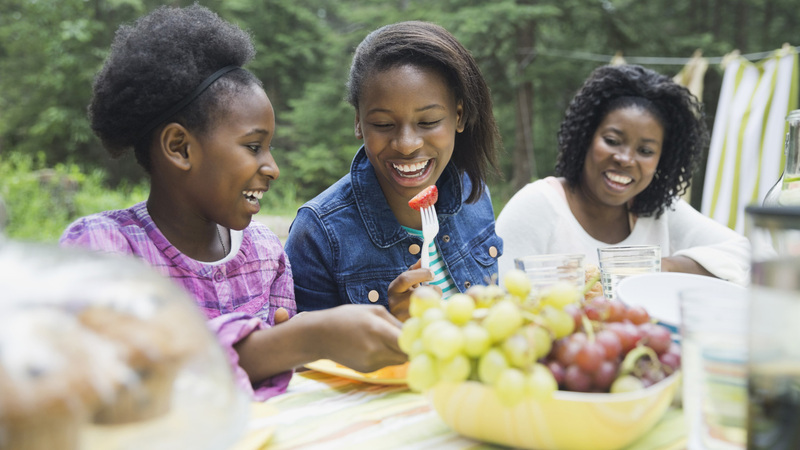 Should you monitor your child’s caloric intake? My patients often ask me how many calories their children should be consuming. With the media touting counting calories as the best way to stay healthy and fit, it’s no wonder they worry. Unfortunately, current research is insufficient to determine children’s calorie needs. Because children are growing at different rates, have varying levels of activities and indeed go through “growth spurts,” needing additional calories at these times, determining caloric needs at any given time is next to impossible. In fact, calorie counting could lead to problems for children if the calories consumed are not sufficient to meet their needs at a given time. Insufficient calories may lead to stunted growth, blood sugar disorders or even weight gain, reduced energy and slowed metabolism. Here are some questions I often get from patients. My child is tall, so can’t I just estimate using the adult calorie charts? No, it is very important that you do not use adult calorie tables to calculate caloric needs for children. These charts do not correlate well with children’s caloric needs. Well then, how do I determine my child’s caloric needs? As a species, humans were not designed to need to count calories to stay healthy and slim. Our bodies have a very sophisticated system of hormone signaling to let us know when we need to eat and we we do not need to eat. Children should be allowed to eat when they are hungry and be encouraged to listen to their body for hunger cues. I do not ever recommend making your child finish their meal. Many parents tell me that they have their child finish the meal because they know if they don’t, their child will just be hungry again in an hour. If your child is growing, their body may need to be fed hourly at times, but making them finish their meal when they are not hungry will just throw off their body’s inborn ability to signal food/caloric needs. The best gift you can give your children is the ability to determine when and how much they need to eat (notice I didn’t say what; it’s OK to tell them no to junk food).